Karolinska Institutet, Box 281, S-171 77, Stockholm, Sweden. 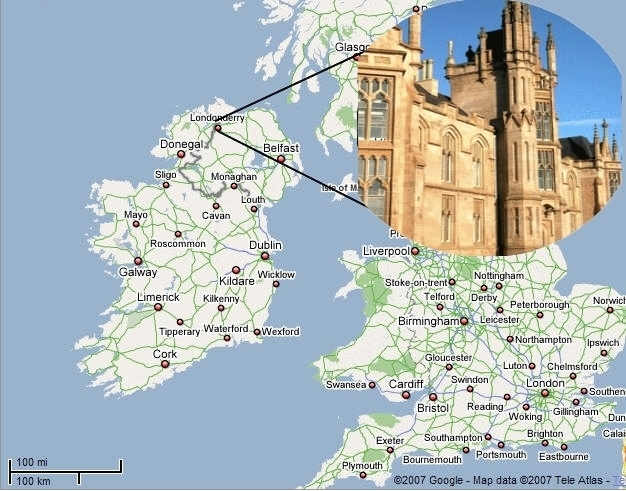 Name of Institution: University Of Ulster at Magee, United Kingdom. Means of Sponsorship: Full Research Scholarship from the attended University. Name of Institution: UTM, Skudai Johor Campus. Means of Sponsorship: Full Scholarship from the attended University. Name of Institution: IIUM, Kuala Lumpur Campus. My name is Abbas Cheddad. I received my M.Sc in Computer Science in 2005 where I secured a fellowship award from Universiti Teknologi Malaysia. My research interests fall into the general theme of computer vision. A special interest, however, is granted to the practical applications of image processing (e.g., medical imaging, 3D reconstruction, pattern recognition, biometrics, steganography). I did my PhD at the The Intelligent Systems Research Centre, Faculty of Computing and Engineering at the University of Ulster in the UK. My PhD�s focus was on strengthening steganography in digital images. I have in records ten international, peer reviewed, Journal papers, 26 peer reviewed international conference papers and 3 granted patents. I have won several awards, among which: faculty of Computing and Engineering best literature review prize (2008), best PhD thesis award of the Faculty of Computing and Engineering (2009), best conference paper award given by the Institution of Engineering and Technology and a place in the UK Science week competition for Britain's Top Younger Scientists, Engineers and Technologists (SET for Britain 2009) PDF. I have also been awarded a research grant from University of Ulster�s Innovation centre worth �7,430. I have a good command of MATLAB� and Java and I am very familiar with the following 3D reconstruction and visualization software: NRecon, Bioptonics Viewer, Data Viewer, Volocity, Drishti and ImageJ. � Post-doc Work Theme: Medical Imaging (optical projection tomography - UU, Ume�, Sweden- and statistical risk assessment of breast cancer via mammography analysis, KI, Stockholm, Sweden). I worked as a research assistant under the Department of Information System (KICT) for Ms. Norazlina Zainul, with the project title “Developing and Testing Online Survey Instrument” for Teaching Feedback Survey, which (the project) was implemented throughout the university, this project was then published as a work paper in the conference stated beneath and used PHP and MySQL Technologies. The project was funded by the Research Center with RM 12000 (3.8 RM =1 US$). I worked also as a Research Assistant (RA) at the faculty of GIS and Engineering (Universiti Teknologi Malaysia). I was involved with the Medical Imaging Research Group for 3D reconstruction of hard and soft tissues for medical purposes (surgery). This project was funded by IRPA (Intensive Research in Priority Areas) grant of RM 3.5 Millions (3.8 RM =1 US$). This interdisciplinary huge project comprised also the Faculty of Medicine at the University of Science of Malaysia and SIRIM, a government body set for industrial standardization and quality inspection. I was hired as a Web developer by Techmy Sdn Bhd, a private Multinational company based in Kuala Lumpur (Malaysia). I worked as a full time lecturer at the University Malaysia Perlis (Malaysia), I joined the school of Computer and Communication Engineering from 3-April 2006 until 21-October-2006. The University is fully funded and owned by the Malaysian Government. Duties: Computer Architecture (Lecturing and Lab), supervising Final year students (5 students with 5 projects). Targeted Students: Final Year Students (Undergraduates). 01/01/2012-31/12/2013: A research associate in medical imaging (human breast cancer) in the Department of Medical Epidemiology and Biostatistics at Karolinska Institute in Stockholm, Sweden. Abbas Cheddad, (2009), "Digital Image Steganography: Concepts, Algorithms and Applications ". Publisher: VDM Verlag Dr. M�ller (Germany), ISBN-13: 978-3639214567. Dzulkifli bin Mohamad and Abbas Cheddad, "An Automated Face Segmentation And Features Extraction", (PI20092386) � Jan. 2010, Universiti Teknologi Malaysia. United Kingdom Patent Application No. 0819982.0 �Method for Skin Tone Detection� UNIVERSITY OF ULSTER. United Kingdom Patent Application No. 0819976.2 �An Encryption Method� UNIVERSITY OF ULSTER. - A. Cheddad, D. Mohamad and A. Abd Manaf, "Exploiting Voronoi diagram properties in face segmentation and features extraction," Pattern Recognition, 41 (12)(2008)3842-3859, Elsevier Science. Get the pre-print pdf here. - A. Cheddad, J. Condell, K. Curran and P. Mc Kevitt. "A secure and improved self-embedding algorithm to combat digital document forgery," Signal Processing 89 (12)(2009)2324-2332 ,Special issue on Visual Information Analysis for Security. Elsevier Science.Get the pre-print pdf here. - A. Cheddad, , J. Condell, K. Curran and P. Mc Kevitt, "A Skin Tone Detection Algorithm for an Adaptive Approach to Steganography," Signal Processing 89 (12)(2009)2465-2478, Elsevier Science.Get the pre-print pdf here || Download Suzie sequence || Please contact me to download the ground truth for Suzie.avi sequence. - A. Cheddad , J. Condell, K. Curran and P. Mc Kevitt, "Information hiding-enabled data transmission framework," International Journal of Information Studies 1(3)(2009)159-164. - A. Cheddad , J. Condell, K. Curran and P. Mc Kevitt, "A Hash-based Image Encryption Algorithm," Optics Communications, 283(6)(2010)879-893, Elsevier Science. Get a pre-print pdf here. - Pratheepan, Y., Condell, J.V., Curran, K., Cheddad, A., Mc Kevitt, P., �An Improved Self-Embedding Algorithm: Robust Protection against Lossy Compression Attacks in Digital Image Watermarking�, Image Processing and Communications, 15(1)(2010) 47-59. Get a pre-print pdf here. - Pratheepan, Y., Condell, J.V., Curran, K., Cheddad, A., Mc Kevitt, P. �A Dynamic Threshold Approach for Skin Tone Detection in Color Images,� Int. J. Biometrics, 4(1)(2012)38-55. - Andreas H�rnblad, Abbas Cheddad and Ulf Ahlgren, �An improved protocol for optical projection tomography imaging reveals lobular heterogeneities in pancreatic islet and �-cell mass distribution�, Islets, 3(4)(2011) 1-5. - Abbas Cheddad , Christoffer Svensson, James Sharpe, Fredrik Georgsson and Ulf Ahlgren,�Image Processing Assisted Algorithms for Optical Projection Tomography,� IEEE Transactions on Medical Imaging, 31(1)(2012)1-15. It was featured "In the news", TrAC Trends in Analytical Chemistry,Elsevier, Volume 30, Issue 10, Pages v-xi (November 2011) Edited by Janusz Pawliszyn. - A. Cheddad, "Photo Forensics and Digital Forgery". In-press, in Jay Albanese (Ed.). Encyclopedia of Criminology and Criminal Justice. New Jersey: Wiley-Blackwell. -Anna Eriksson, Christoffer Svensson, Andreas Hornblad, Abbas Cheddad, Elena kostromina, Maria Eriksson, Nils Norlin, Antonello Pileggi, James Sharpe, Fredrik Georgsson, Tomas Alanentalo,and Ulf Ahlgren "Near infrared optical projection tomography for assessments of B-cell mass distribution in diabetes research". Journal of Visualized Experiments (JoVe) 2013. (71), e50238.PMID: 23353681. -Abbas Cheddad, Christoffer Nord, Andreas H�rnblad, Renata Prunskaite-Hyyryl�inen, Maria Eriksson, Fredrik Georgsson, Seppo J. Vainio, and Ulf Ahlgren, "Improving signal detection in emission optical projection tomography via single source multi-exposure image fusion". Optics Express 2013. 21(14)16584-16604. PMID: 23938510. Selected by the Editors, Andrew Dunn and Anthony Durkin, for publication in a recent issue of the Virtual Journal for Biomedical Optics (VJBO), which is a special feature of OSA's Optics InfoBase. - Abbas Cheddad, Kamila Czene, John Shepherd, Jingmei Li, Per Hall, Keith Humphreys, (2014). Enhancement of mammographic density measures in breast cancer risk prediction. Cancer Epidemiology, Biomarkers & Prevention (CEBP), American Association for Cancer Research. doi:10.1158/1055-9965.EPI-13-1240. PMID: 24722754. OnlineFirst: http://cebp.aacrjournals.org/content/early/2014/04/09/1055-9965.EPI-13-1240.long Reviewer: "This manuscript presents an interesting and novel approach to enhance mammographic density assessment from 2-dimensional images. It has been long been considered a weakness that the common assessment methods using film mammograms ignore the third dimension of breast thickness. Therefore, this paper makes a new contribution to the field of mammographic density research..."
Abbas Cheddad and Ahmed.M Zeki “Template Matching and its Industrial Applications”. Presented and published in the proceedings of the 19th International Conference on CAD/CAM, Robotics and Factories of the Future. Kuala Lumpur. Malaysia: Tuesday, 22nd July’03. Abbas Cheddad, Dzulkifli Mohamad and Azizah Abd Manaf “An Efficient Hybrid Algorithm for Face Features Extraction Based on Contour linearization and Voronoi Diagram”. Panitia Seminar Nasional Informatika 2004 - SNI2004 Program Studi Teknik Informatika. Universitas Ahmad Dahlan, Indonesia. D. Bin Mohamad, Abbas Cheddad and Azizah abd Manaf "A New Algorithm for Face Location and Face Features Extraction based on Voronoi Diagram and Parametric Contour". IEEE International Conference on Information & Communication Technologies: From Theory to Applications. Damascus. Syria: April 19 - 23, 2004. Abbas Cheddad, Norazlina Zainul and Maram Mujahid “Developing and Testing Online Survey Instrument”.Second Real-Time Technology and Applications Symposium (RENTAS 2004). Organized by Institute of Advanced Technology (ITMA), Universiti Putra Malaysia, Serdang, Selangor and IEEE Computer Society Malaysia Chapter, Malaysia: Nov 24-25, 2004. Abbas Cheddad, Dzulkifli Mohamad and Azizah abd Manaf “A Novel Method for Face Segmentation and Face Features Extraction based on Voronoi Diagram”. International Arab Conference on Information Technology, 12-15 Dec 2004 Algeria. A.M. Zeki, A.Farshid Ghyasi, M.S. Zakaria, Maram Mujahid, Norazlina Zainul, Abbas Cheddad and M. Zubayr “Design and Implementation of a Voronoi Diagrams Generator using Java” . International Arab Conference on Information Technology, 12-15 Dec 2004 Algeria. Abbas Cheddad, Halim Setan and Zulkepli Majid “Disparity Map Calculation Through Epipolar Lines Estimation for 3D Facial Reconstruction”. International Symposium and Exhibition on Geo-information (ISG) 2005, Penang, Malaysia 27-29 September 2005, p 44-53E. Abbas Cheddad, R. Badlishah Ahmad. “NESROBOT: A 3 in 1 Vision System Algorithm for Robot Navigation”. International Conference on Man-Machine Systems – ICOMMS’2006, Langkawi Islands, Malaysia 15th - 16th September 2006. A Cheddad, J. Condell, K. Curran & P. Mc Kevitt. "Biometric Inspired Digital Image Steganography". In the proceedings of the 15th Annual IEEE International Conference and Workshops on the Engineering of Computer-Based Systems (ECBS'08). pp. 159-168. I acknowledge the travel grant from LERO; the Irish Software Engineering Research Centre. A. Cheddad, J. Condell, K. Curran & P. Mc Kevitt. "Enhancing Steganography in Digital Images". Proceedings of the Fifth Canadian Conference on Computer and Robot Vision. Windsor, Ontario, 28-30 May 2008. pp. 326-332. A. Cheddad, J. Condell, K. Curran & P. Mc Kevitt. “Skin Tone Based Steganography in Video Files Exploiting the YCbCr Colour Space”. Proc of the 2008 IEEE International Conference on Multimedia and Expo, Hannover, Germany. pp.905-909. June 23-26, 2008. Curran, K. Condell, J., Cheddad, A., Mc Creadie, K. and Maguire, L.M. (2009). “Issues of Privacy & Surveillance”. To appear in the proceedings of the 5th International Conference on Technology, Knowledge and Society. 30-Jan to 1-Feb 2009. Huntsville, Alabama, USA. Best paper award. Award given by IET (The Institution of Engineering and Technology).Download the slides. A. Cheddad, Condell, J.V., Curran, K.J., McKevitt, P. "Data Hiding Tools for Digital Forensic Experts," In: Proceedings of Digital Forensics, Security and Law, May 20-22, 2009, Burlington, Vermont, USA, pp. 111-113, ISSN:1931-7379, ADFSL (Association of Digital Forensics, Security and Law). A. Cheddad, Condell, J.V., Curran, K.J., McKevitt, P. �A New Colour Space for Skin Tone Detection�. IEEE International Conference on Image Processing, ICIP 2009. 7-10 Nov. 2009, pp. 497-500. IEEE Signal Processing Society. Cairo, Egypt. Get a pre-print here. A. Cheddad, Condell, J.V., Curran, K.J., McKevitt, P. �Towards Objectifying Information Hiding�. IEEE 35th International Conference on Acoustics, Speech, and Signal Processing (ICASSP 2010).14-19 March 2010, pp. 1770-1773. IEEE Signal Processing Society. Dallas, Texas, USA, pp: 1770-1773. Get a pre-print here. Pratheepan Yogarajah, Joan Condell, Kevin Curran, Abbas Cheddad, Paul Mc Kevitt. "A dynamic threshold approach for skin segmentation in color images". IEEE International Conference on Image Processing, ICIP 2010. IEEE Signal Processing Society. Hong Kong, 26-29 Sept. 2010, pp: 2225-2228. Get a pre-print here. Pratheepan Yogarajah, Joan Condell, Kevin Curran,Paul Mc Kevitt and Abbas Cheddad,. "An Improved Self-Embedding Algorithm: Digital Content Protection against Compression Attacks in Digital Watermarking".2nd International Conference on Image Processing and Communications, Poland. 20-23 October 2010. Also appears as a monograph by Springer-Verlag in Advances in Soft Computing Series book, Volume 84, Image Processing and Communications Challenges 2, Pages 59-66. # A member of the International Association of Science and Technology for Development (IASTED) Technical Committee on Image Processing and on Biomedical Engineering, (2012-2015). July 2007 – Visit to The Technical University of Ilmenau , Berlin, Germany, there was a poster presentation to German students and staff. Vision Video and Graphics (VVG) EPSRC Summer School 2007. 20th – 21st September 2007. I won one of the student bursaries worth �220 to attend the event given by EPSRC. I gave a tutorial to post graduate students of faculty of GIS & Engineering (Remote Sensing Group) upon a request from my department at Universiti Teknologi Malaysia. 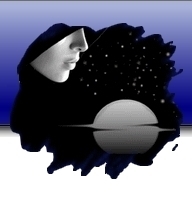 The program was an introduction to Image Processing and GUI. Another teaching assistance was given to postgraduate students of the faculty of Computer Sciences and Information Systems upon a request from my supervisor, the theme was about Image Segmentation Methods. Fellowship award from Universiti Teknologi Malaysia (Msc degree). Vice Chancellor's Research Studentship from University of Ulster for PhD degree. The Faculty of Computing and Engineering Best Literature Review prize (2007). An award given by the University of Ulster in collaboration with McGraw-Hill to 2nd year PhD students. Hilton Hotel on 03-04-2008. Best paper award at the 8th International Conference on Information Technology and Telecommunication (2008). The award was given by IET (The Institution of Engineering and Technology). Galway, GMIT on 24-October-2008. 25K Award for new entrepreneurs in the Hi-Tech category for the project SDW sponsored by Northern Ireland Science Park (NISP), 24th Sept 2009. The event was covered by BBC Northern Ireland (Mrs. Wendy Austin). Best thesis award of the Faculty of Computing and Engineering (2009). - Transactions on Image Processing, IEEE Signal Processing Society. - IEEE Transactions on Information Forensics and Security, IEEE Signal Processing Society. - IEEE Transactions on Systems, Man, and Cybernetics, Part B: Cybernetics. - IEEE Transactions on Circuits and Systems for Video Technology. - IEEE Signal Processing Letters. - Signal Processing, Elsevier Science. - Signal Processing: Image Communication, Elsevier Science. - Journal of Systems and Software, Elsevier Science. - Information Sciences, Elsevier Science. - Information Fusion, Elsevier Science. - Multidimensional Systems and Signal Processing, Springer. - International Journal of Image and Graphics, World Scientific. - Digital Signal Processing, Elsevier Science. - Signal Image and Video Processing, Springer. - Wireless Sensor Network (WSN), Scientific Research Publishing Inc.
- IETE Technical Review , Medknow Publications and Media Pvt Ltd.
- The Imaging Science JournalThe Royal Photographic Society. The International Conference on Computer & Communication Engineering 2012, Malaysia. Department: Group leader, Ume� Centre for Molecular Medicine. BT48 7JL. N. Ireland. United Kingdom. Department: Chair in Intelligent Multimedia.